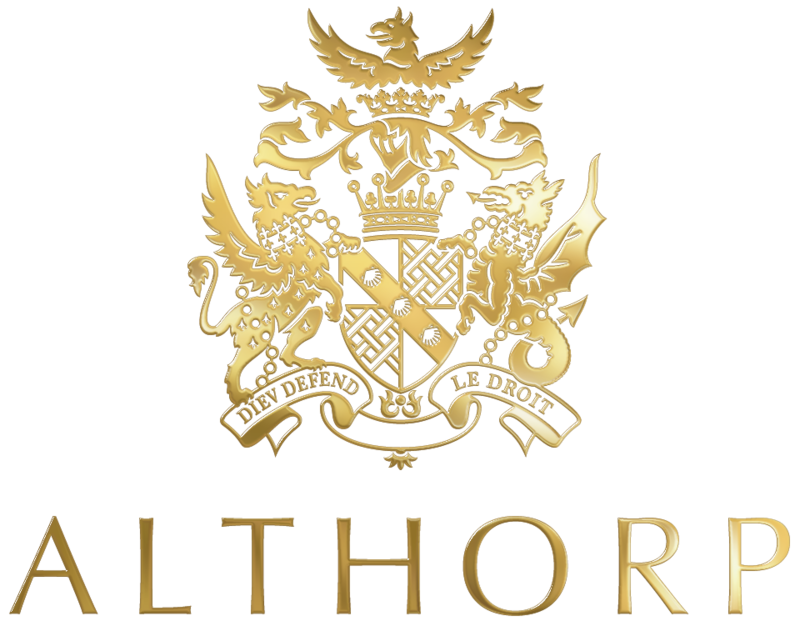 The term ‘Althorp’ or ‘us’ or ‘we’ refers to the owner of the website. This site is operated by Althorp Enterprises Partnership LP, registered in England and Wales (registration number LP015073) whose registered office is at The Estate Office, The Stables, Althorp, Northampton, Northamptonshire, NN7 4HQ. Our VAT number is 62 363 2360. • This website contains material which is owned by or licensed to us. This material includes, but is not limited to, the design, layout, look, appearance and graphics. Permission for reproduction is given to users to print off copies of the website for personal use but not to modify the material in any way, use it for commercial purposes or publish it. Any other reproduction is prohibited. We enter into no express or implied conditions, warranties, terms or representations regarding the quality, accuracy or completeness of the information. We exclude to the extent lawfully permitted all liability for loss or damage, whether direct, indirect or consequential (including, without limitation, loss suffered as a result of breach of these terms which is not a foreseeable consequence of the breach, lost profits, lost opportunity, lost business, loss of goodwill, loss of contracts, increased overheads or administrative expenses or management time) arising out of your use of or inability to use this website, or from any information or omission contained in this website. This website provides links to information provided by external organisations and companies. This information is not in any way under the control of Althorp Enterprises Partnership LP. Although we do our best to ensure these websites are of the highest quality we cannot take any responsibility for their content or accuracy and their inclusion does not imply specific endorsement by us. We unfortunately cannot cater for all web browsers due to coding issues, so we recommend anyone using Internet Explorer 9 or previous to update your browser by clicking here. We make every effort to check that content on this website is free of viruses. It is always wise for you to run an anti-virus programme on all material downloaded from the internet. We cannot accept any responsibility for any loss, disruption or damage to your data or your computer system that may occur while using material derived from this website. In certain circumstances it may be necessary to collect your tickets from the venue. If you are collecting your tickets from the venue, please bring your acknowledgment of order and the credit/debit card used to make the order with you. Tickets cannot be refunded or exchanged after purchase (unless the event has been cancelled, postponed or changed). If, in the reasonable opinion of Althorp Enterprises LP, material changes have been made to your event, you will be able to obtain a refund of the ticket price. In order to claim your refund, please apply in writing to Althorp Enterprises LP, The Stables, Althorp, Northampton. NN7 4HQ, enclosing your unused tickets. Your unused tickets must be received by Althorp Enterprises LP within 14 days of the date of notification of the changes, postponement or cancellation. Refunds will only be processed upon receipt of the original tickets. Admission to the venue and the event is subject to the terms, conditions and regulations of the venue. Amongst other things you will need to comply with health and safety rules and any security requirements. By attending the Festivals, you consent to filming and sound recording of the audience.